Home › Uncategorised › What’s a DRIP trip all about? What’s a DRIP trip all about? 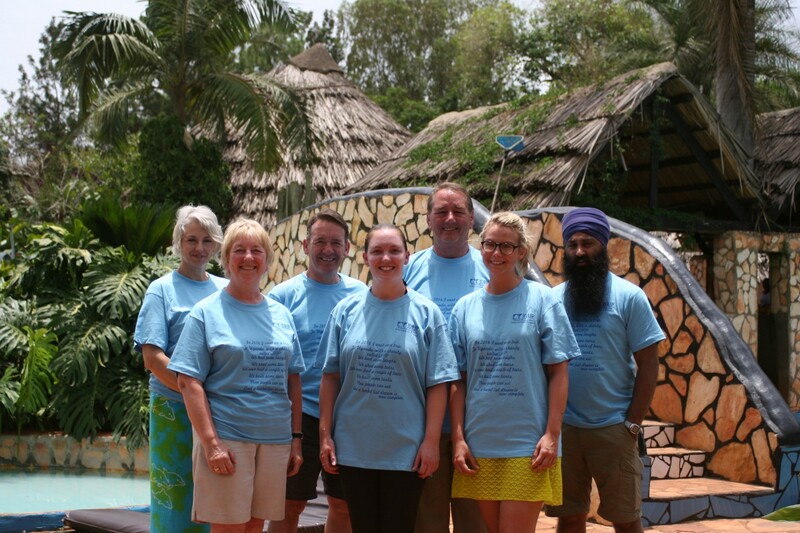 In March of 2016, a team of 7 experienced and new volunteers travelled to Uganda for the 13th year to build 62 rainwater harvesting tanks and educate 62 families in basic kitchen garden horticulture. This trip was the first opportunity the team had of utilizing a full Ugandan building team, allowing us to build an extra tank a day during our 2 weeks in country. This was an enormous achievement as we continue to grow the capabilities of not only our UK/Canada/Uganda team, but of the Ugandan people as well, thereby supporting our mandate of providing a sustainable answer to hunger and poverty. The team’s trip was earlier in the year this time around (March 18 to April 1) and we certainly noticed the difference! 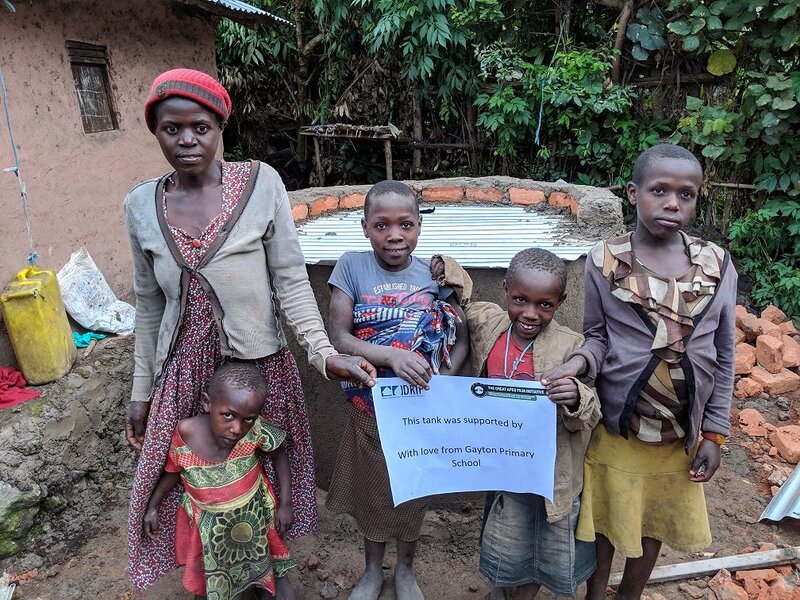 DRIP tries to travel to Uganda within the rainy season (April and September), both to support the work that we do there (harvesting rainwater to use in their gardens), but also to mitigate any health concerns associated with the extreme heat and dry conditions. It was a poignant reminder of the daily challenges and limitations experienced by the Ugandans as they live their lives; lack of clean water, poor choice but higher prices of vegetables and fruit in the marketplace, extreme heat and blowing soil, dry rice paddies, fewer operable boreholes for water, thinner livestock, and ultimately, less food to go around. Nevertheless, our Ugandan builders, interpreters and team mates kept all the muzungus (white people), out of the sun, reminded to drink and take breaks, and overall, well looked after. Our Ugandan-based team were so incredibly competent with such a thirst for success that each day went better than the last! We exceeded our target of 45 tanks by another 17 tanks! That was 62 tanks built to catch rainwater, 62 kitchen gardens started, 62 sets of seeds (about 7 varieties of vegetables), provided to families, 124 tree seedlings planted (providing future shelter, food and natural pesticide capabilities), and 16 Ugandan builders/interpreters provided with more knowledge, skills, experience (and funding) to build better lives for themselves as well. DRIP would like to do even more! We are actively seeking out ways to enhance our volunteer base, our efficiencies and our mandate. We are interested in investigating partnerships with like-minded organizations who wish to make a significant, measurable and sustainable difference in people’s lives. We are investing time and resources into training future trip leaders to continue the progress already made. 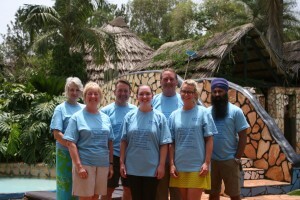 If you or someone you know is interested in becoming a volunteer, a trip leader, a partner, a donor, please visit our website at www.drip.uk.org or email kate@drip.uk.org for more information and to set up a meeting. We are actively planning a trip for April 2018…be part of it!